This is an innovative work in both theme and presentation. 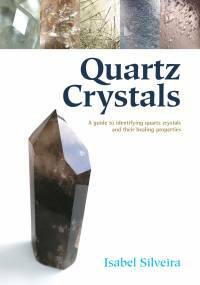 The book allows the reader to quickly and easily identify an array of quartz crystals and become familiar with their distinctive features. Colourful pictures bring the reader up close to the beauty and diversity of the quartz crystal family, illustrating specific details of each crystal formation described. Also included is a rich report of the author’s personal experiences of working with quartz crystals on a daily basis, showing possible uses for the energetic qualities of each piece. Objectivity, practicality and beauty make this book an indispensable work for those who admire the splendour of the mineral realm, and wish to develop an understanding of its energetic properties.